The Resident Travel Scholarship has been developed to cultivate future leaders among junior residents and international residents in plastic surgery. 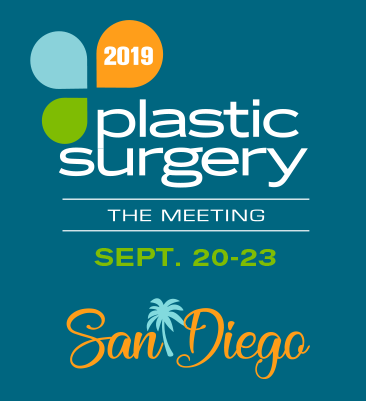 Six domestic and three international residents will be awarded $900 each to help offset the cost of travel and lodging to Plastic Surgery The Meeting, Sept. 20-22, in San Diego. The remaining $300 will be provided upon receipt of a completed final report to be submitted after attending the meeting. Each institution may only nominate one resident for the scholarship. Nominating more than one resident may disqualify all residents from the program. Training Program Directors/Chairs may nominate ONE RESIDENT in the first four clinical years of an integrated program and the first year of an independent program, who they feel have significant potential as future leaders within ASPS/PSF. This means that at the time of the application, the resident must be up to PGY3. Scholarship Goal: Create an opportunity for junior residents to attend Plastic Surgery The Meeting to facilitate their engagement with ASPS. Qualified candidates who are endorsed by their program director are eligible to apply. Training Program Directors must provide a letter of recommendation to their nominee, which should address diversity, especially on domestic applicants. It is the responsibility of the Training Program Director to ensure that if their resident is selected, the required final report is completed within 30 days of Plastic Surgery The Meeting 2019. Applications will be accepted between April 1 through May 15. Late applications will NOT be accepted. Residents who have received any kind of scholarship from the American Society of Plastic surgeons (ASPS) in the past are not eligible to receive this award. Applicants will be notified by June 30 as to whether or not they have been selected. Residents will be selected for leadership potential, interest in ASPS/PSF programs and geographic, ethnic and gender diversity. Friday luncheon with KLS Martin. Within 30 days of Plastic Surgery The Meeting 2019, selected residents are required to submit a final report discussing their committee experiences; main challenges, successes and take-aways from attendance at Plastic Surgery The Meeting; and how their attendance affected their career goals as plastic surgeons. The final 25% of the scholarship will be disbursed to the residents upon receipt of this report.